With summer around the corner, I know most are in a joyful state. Being a native Floridian doesn't quite get me excited about summer, however. See: Hot, humid, sweaty, insect-y, and other not-so-nice things, haha! 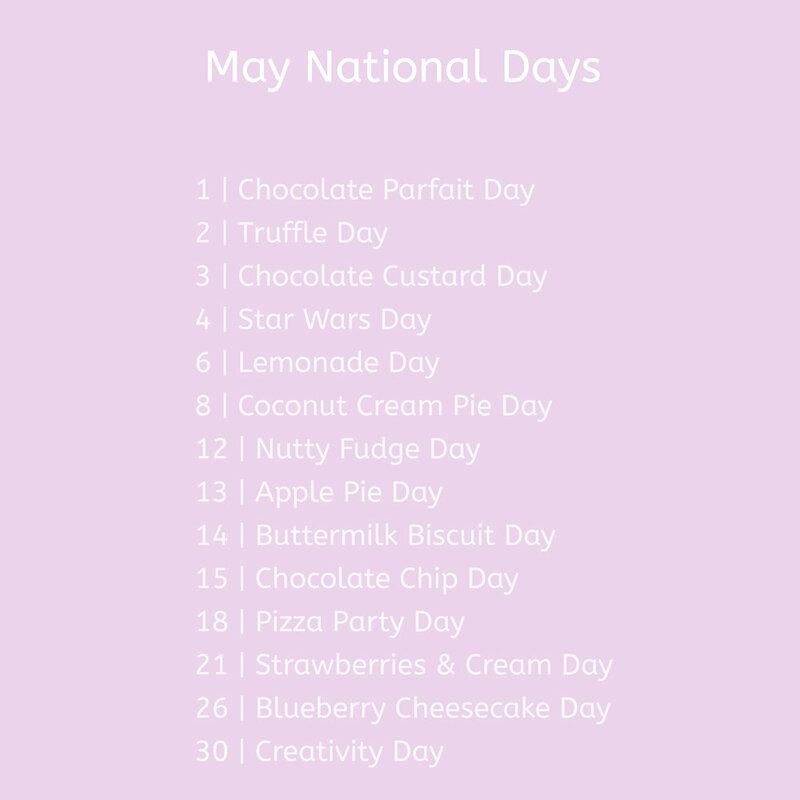 With that in mind, I decided to find the sweetest (for the most part) days in May. Check out the list of National Days for May, and find something fun to do with your BFF's! For National Truffle Day, try this simple recipe for a delicious start to May! *Can add a liquid flavoring, such as liquor if desired. Add in 1/2 tsp intervals. 1. Place chopped chocolate into a large bowl. 2. Pour cream into a pot. Heat until it simmers. 3. Pour warm cream over chocolate. 4. Let mixture sit for approx 1-2 minutes without stirring. Begin slowly stirring w. rubber spatula. 5. Continue stirring slowly until all chocolate has melted, and ganache has cooled. 6. Place plastic wrap directly on top of ganache. Cool for approx 60 minutes, or until firm. 7. Scoop ganache out in the desired size (spoon or small ice cream scoop will work). 8. Roll into a ball, in palm of hands. (too much handling will melt the ganache). 9. Place spheres of ganache on a sheet pan covered with parchment paper. 11. Once firm, roll into desired coating/topping. *Experts, roll your ganache spheres in tempered chocolate for a crisp and smooth outer shell. *Below is an example of a truffle I made. I wrapped it in a marshmallow, then toasted it slightly.